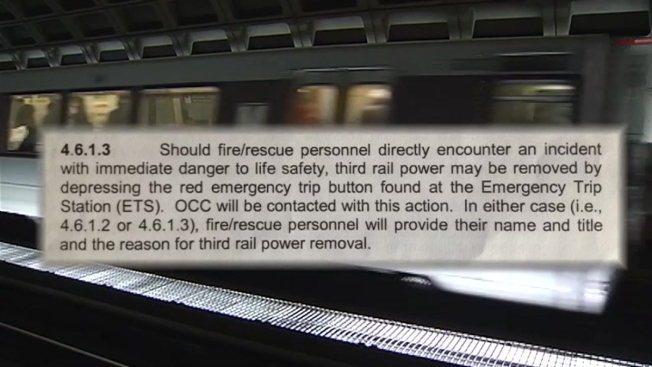 While many questions remain about just what happened in the response to the fatal smoke incident at the L'Enfant Plaza Metro station two weeks ago, documents show exactly how that type of emergency should be handled. The Metrorail transit fire and rescue emergency procedures policy, most recently signed by all local fire chiefs and Metro in 2011, clearly spells out procedures for the third rail and emergency evacuations. There was some question about how long firefighters did wait to enter the tunnel Jan. 12. Also, the Metro operator should have been trying to move that train back to the platform any way he or she could have. When rail service is interrupted during an emergency and passengers must be discharged from cars every attempt should be made to move the train to the nearest station before discharging them. Passengers may be discharged from trains to the rail track bed only when no other alternatives are available.